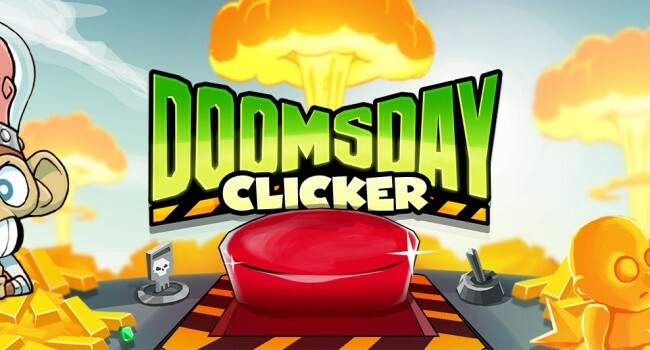 Doomsday Clicker now on the Amazon App Store and Amazon Underground! We have great news for fans of Doomsday Clicker: you can now download Doomsday Clicker Amazon Underground and on the Amazon App Store! Amazon Underground is a platform that enables you to play popular mobile games without any ads or in-app purchases. It’s only in select territories at the moment, but more are planned to be added (if you’re not in one of those territories, you can still download the non-Underground version from the Amazon App Store). It’s a great way to play the games you love without any interruptions! You no longer pay real money for any in-game boosts or perks. The Supercharger can be spun without watching an advertisement, however if you don’t like the multiplier rewarded you can watch an ad to get another spin before the Supercharger expires. Otherwise you’ll need to wait 2 hours to get another ad-free spin.